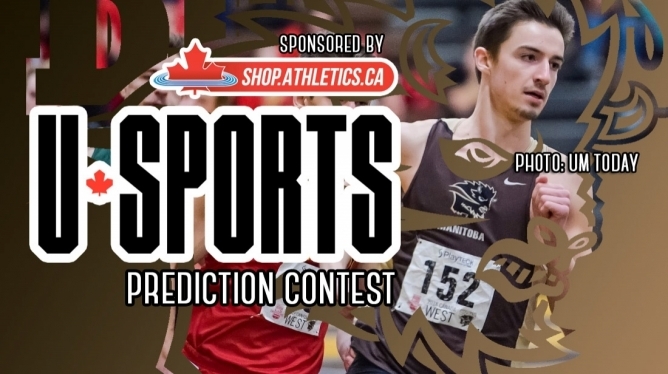 U Sports Track & Field Championship Live Stream, Live Results & Prediction Contest! Are schedule times central or eastern? "Are schedule times central or eastern?" 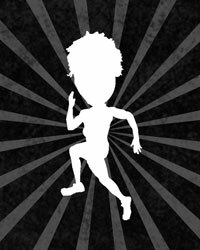 Will there be a free livestream like XC Champs ? This post was edited by a Moderator [Issues] 1 month ago . * The live stream (or any funds generated from it) are in no way associated with Trackie. The stream/services are provided by U Sports and SportsCanada.tv. But if someone were to post a link to a booklegged livestream trackie wouldn't take it down right? All I'm saying is $10 for 1 day is WAY too expensive for this level of competition. Yes we would have to remove any links that are not the official live stream. 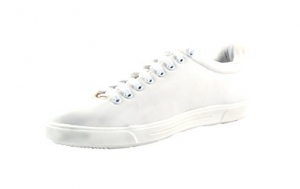 If the price is too high then try to get a group of friends together to split costs. Or purchase the 14.99 3 month plan. I'm happy to pay for the service but U Sports has to deliver. It's the day of the event and all the links are directing me to archived soccer (2018 U SPORTS Women’s Soccer). It's hard to share the link and encourage people to subscribe when you can't be sure of the quality of the service. "I'm happy to pay for the service but U Sports has to deliver. It's the day of the event and all the links are directing me to archived soccer (2018 U SPORTS Women’s Soccer). It's hard to share the link and encourage people to subscribe when you can't be sure of the quality of the service." Completely agree. Having to subscribe and pay what I consider a fairly hefty price means that we should be ensured a certain quality of stream. A good place to start with that is having commentators who actually KNOW the sport and athletes competing. The announcing for the women's pent 60mH was awful. They were announcing the names of the women's 60m prelims, not pent hurdles, and clearly do not have a background with hurdles (commenting things like "She seems to have clipped a hurdle, back at the first jump there"....and saying the women were set and waiting for the starting gun before they were even in their blocks). It's disappointing that former USports/CIS athletes who are still involved with and informed about USports track and field can't be given the opportunity to announce at the championships. I'd expect a much better quality from them. I know many people have requested this in the past as well. *If the current commentator does, in fact, have a track and field background then I'm not sure what happened there but clearly things were not organized at the very least. Despite living in Winnipeg, I apparently don't know the answer to this. Is the "James Daly Fieldhouse" actually updated/changed from Max Bell or is it just a new name? I was looking at the start-list for the 1000m and noticed the facility record 2:22.8 was apparently set in 2015 but Tommy Lecours' Championship record (2:22.0) in 2012 was also set in Winnipeg. You'd think they'd be one and the same. How come I have signed in and paid for the live stream on Usports channel but I but can't see anything? I would be willing to pay - IF - the quality was there. The OUA and Atlantic Conferences were both able to put together a decent live stream for free, why not USport? So far incredibly unimpressed - the 60's are set to begin in 5 minutes yet the stream is off air? The video quality looks good and I'm glad there is some coverage. Hopefully they can work in the timing clock overlay graphic as things proceed. Any chance the video feeds could just be left live for Field and Track English / French so we can sense what's happening at the event? I don't understand the segmented schedule at this stage as it doesn't allow you to play the prior event and unfortunately it doesn't look like you can backup the live feed to catch what you missed. How does Usports have someone announcing the stream that doesn't even know how to pronounce the names of the top athletes in the country (Olivia Romaniw being called Row-maw-nee)... Or even worse, not know who is even in an event?! Waiting for the men's 600m the announcer said we should all keep an eye out for the top three guys in the event: Jack Berkshire, Stephen Evans, and Philip Osei.... Philip Osei is not in the men's 600m. Incredibly unimpressed with the complete lack of knowledge being demonstrated throughout the entire broadcast today. These are the best live results ever. Nothing live about them. @trackie, could you explain the scoring process for the contest? thanks! Person with highest points wins. If there is a tie, the person who entered the contest first wins. Your Pentathlon results aren’t updated. its a weird operating system. you need to chose what event you want to watch, but if you dont pick the right one that they think they are currently broadcasting it will just say the stream is over. For all the people wondering how OUA and AUS can put on a free stream while USPORTS can not, it is less a matter of can't and more a matter of won't. In their eyes they have a money making opportunity with broadcasting rights and privileges and those are good enough reasons to offer the screaming deal of 14.99 for a 3 month subscription for a 3 day event. "Despite living in Winnipeg, I apparently don't know the answer to this. Is the "James Daly Fieldhouse" actually updated/changed from Max Bell or is it just a new name? I was looking at the start-list for the 1000m and noticed the facility record 2:22.8 was apparently set in 2015 but Tommy Lecours' Championship record (2:22.0) in 2012 was also set in Winnipeg. You'd think they'd be one and the same." They renamed it (~2015??) and updated the surface a couple years later. "They renamed it (~2015??) and updated the surface a couple years later." So they reset the records for the field house in the process? That seems wrong. "Your Pentathlon results aren’t updated." Please note: The Pent High Jump and Pent summary are not in the Day one live results. The building (fieldhouse, hockey rink, offices, etc.) is still called "Max Bell Centre". The fieldhouse itself is the "James Daly Fieldhouse". We want Cyr On the English stream!!!! "We want Cyr On the English stream!!!!" Alexander Bimm anchoring the 4x800?? He looks a lot different on TV. Hey, sorry folks if I got a couple names wrong. Some alternates didn’t appear on the sheets. My bad. Thankfully I will not be commentating for the rest of the meet. Godspeed. How do we edit our predictions once we have submitted ? It seems to say that we can do this ? Why are the results so far behind??? The men’s 1500m is up but the 4x200 and women’s 1500m are not. "Hey, sorry folks if I got a couple names wrong. Some alternates didn’t appear on the sheets. My bad. Thankfully I will not be commentating for the rest of the meet. Godspeed." Hey you did a fantastic job on Friday... What's getting to people is the fact that the price was so high to have "some random" person to it.. It's on USports for not being organized enough to do your job correctly.. Hell I'd even say you'd be worth a $5 a day fee with the stream.. Keep at it! where are the results for the Prediction Contest? "where are the results for the Prediction Contest?" We have now updated the prediction contest results above. Trackie, when will the prediction contest prizes be distributed? We have sent the winners details to Athletics Canada. They will contact you shortly if not already to let you know about the prizes.